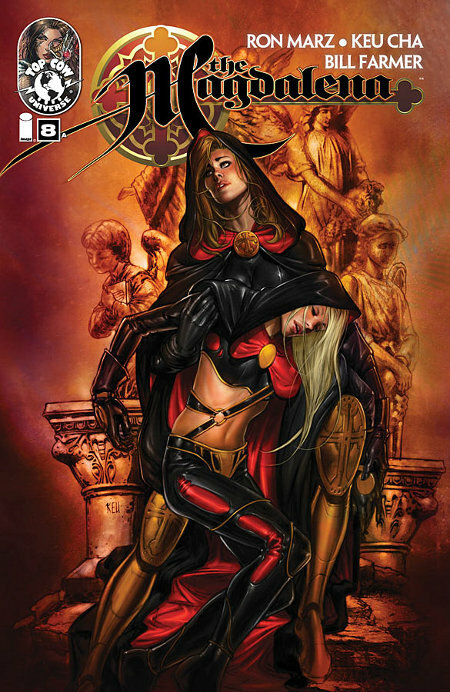 I’ve got two new issues hitting shelves this Wednesday, both from Top Cow. 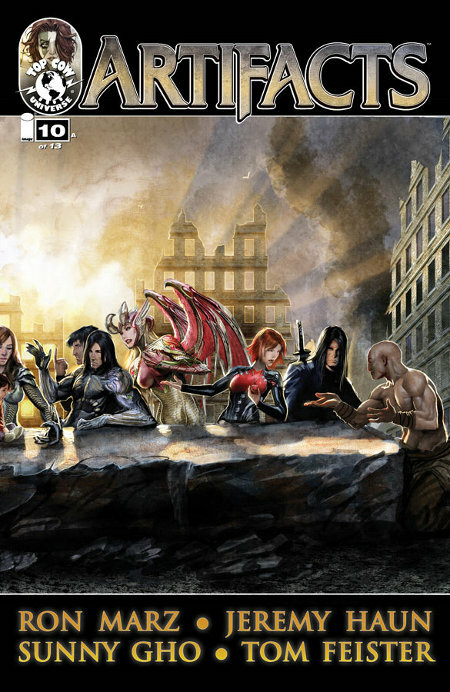 Artifacts #11, with art by Jeremy Haun and Sunny Gho, brings the storyline closer to its climax and features a character death by issue’s end. 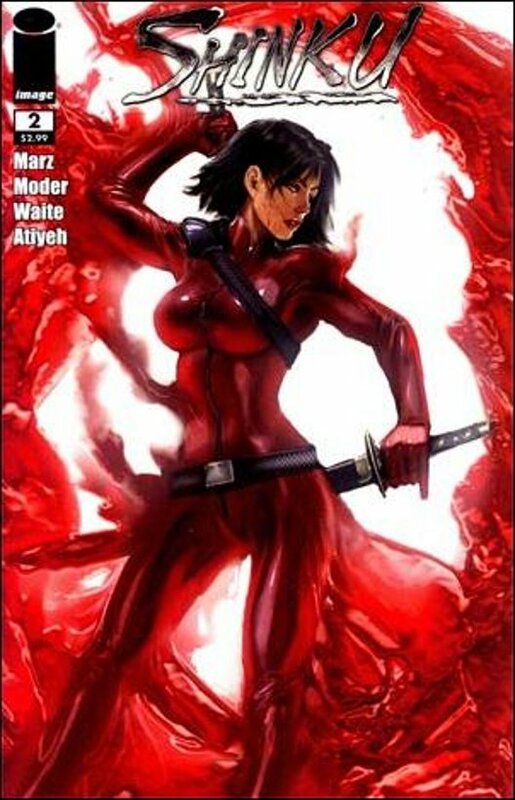 And it’s not a “comic book” death in which the character miraculously returns to life a few months later. Dead means dead … as in “not coming back.” There’s also another two-page origin, this one featuring art by the legendary Michael Golden. 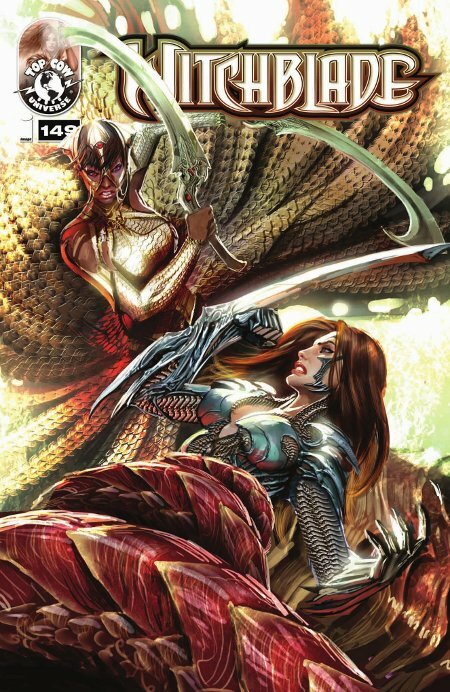 Also in stores Wednesday in Witchblade #149, the final part of the “Tiamat” storyline, and my penultimate issue of the book with Stjepan Sejic. The issue wraps the current four-part arc, and sets the stage for the double-size #150 next month. 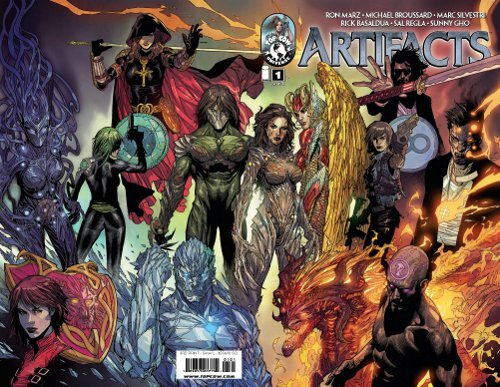 After we wrap up our run on Witchblade, Stjepan and I will move over to Artifacts with issue #14, as the event series becomes a monthly title. 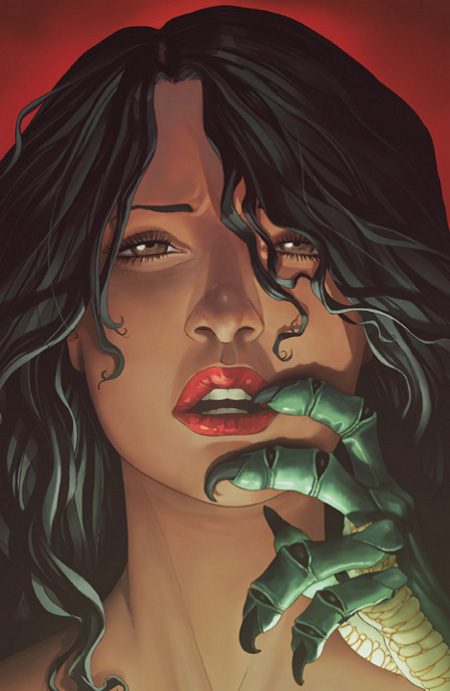 Can’t remember the last time I actually had four issues hit stores on the same day, but that’s the case Wednesday: Voodoo #1, Witchblade #148, Magdalena #8, and Artifacts #10. All the issues were actually completed in different weeks, as I recall, but the vagaries of the shipping schedule sometimes result in a week like this. I’ll be signing all four issues, plus whatever else you have, at Midtown Comics Downtown, 64 Fulton St. in NYC, from 6 to 7 p.m. Wednesday. 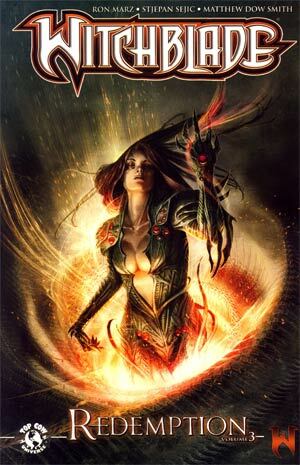 The Witchblade issue is part 3 of the “Tiamat” storyline, with Stjepan Sejic on art, with an appearance by the Angelus. Magdalena is the second and final part of Keu Cha’s guest spot on art, and features a battle in the rain atop Notre Dame. 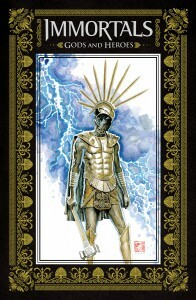 Artifacts reveals more about the bearer of the mysterious 13th Artifact, with art by Jeremy Haun and Sunny Gho. Voodoo, of course, is part of DC’s New 52 initiative, and already has sold out at distributor level (though stores should have copies on the shelves for at least a few days). A second printing is on the way. Hope you give it a try. 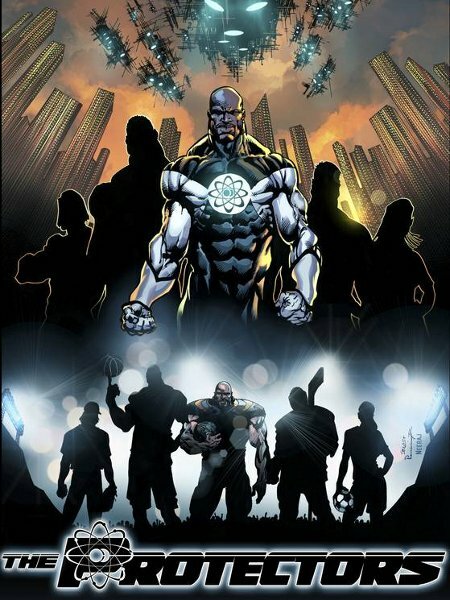 New in stores this week is Artifacts Volume 2 TPB, collecting issues #5 through #8 of the series, plus the text pieces that have appeared in all of the issues. 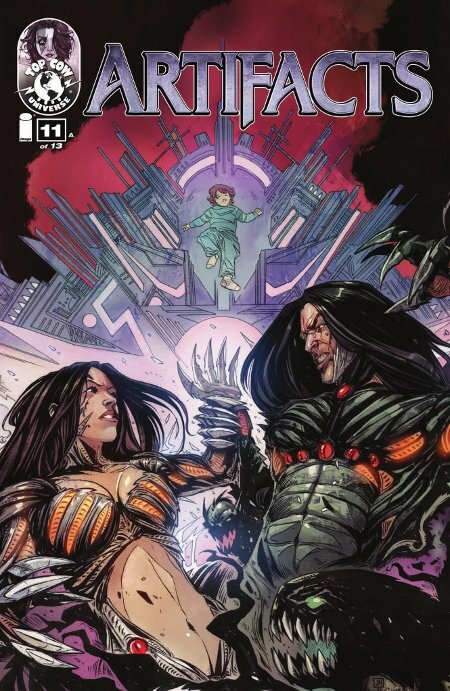 The art, of course, is by Whilce Portacio, who brought a kinetic energy to these issues as the more sci-fi side of the Top Cow Universe is brought into the story. 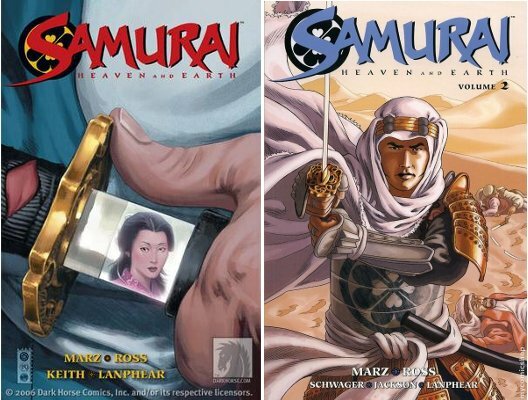 Next week is a big one for me, with four different issues releasing. 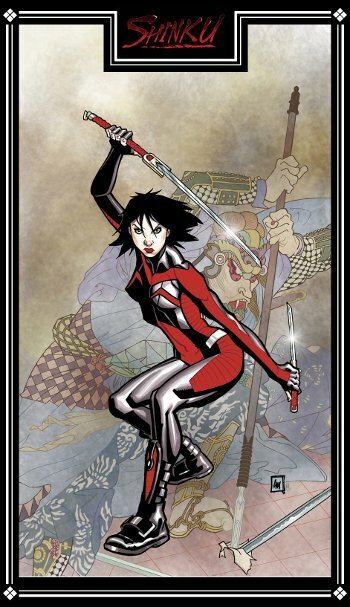 I’ll be a guest at MegaCon, held in Hall D of the Orange County Convention Center in Orlando, FL, from March 25th-27th. Yes, this is the con that CrossGen once owned, and is still “in the family,” so to speak, having been purchased by, and now run by, former CrossGen employee Beth Widera. Beth is one of my favorite people in the world, and she runs an absolutely great show with her husband Richard and daughter Christine. MegaCon is a chance for me to see some of my CrossGen buddies, as well as grab a few days of warm weather while winter desperately tries to hang on in the Northeast. I’ll have my own table at the con, with current artistic collaborators Kenneth Rocafort (Velocity) and Nelson Blake 2nd (Magdalena) nearby. If all goes as planned, I should have a few cases of various books for sale, as well as a pair of prints. 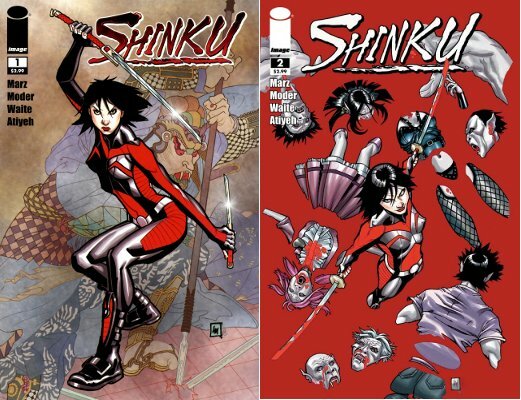 The first print is the cover to issue #1 of my June-debuting, creator-owned series Shinku at Image, with art by Lee Moder, Matthew Waite and Michael Atiyeh. 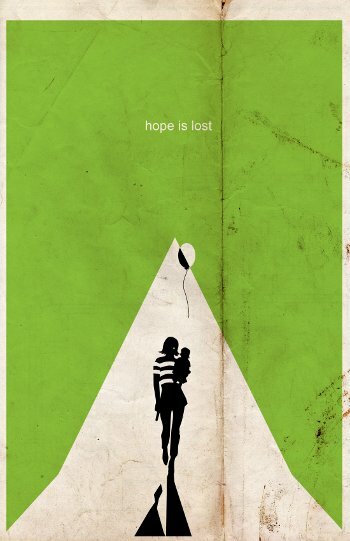 The second print is a clever, minimalist take on Artifacts created by Matthew Waite. I’ll be selling the prints, which you can see accompanying this entry, for $10 apiece, and all of the money will be donated to the Japanese tsunami relief effort. 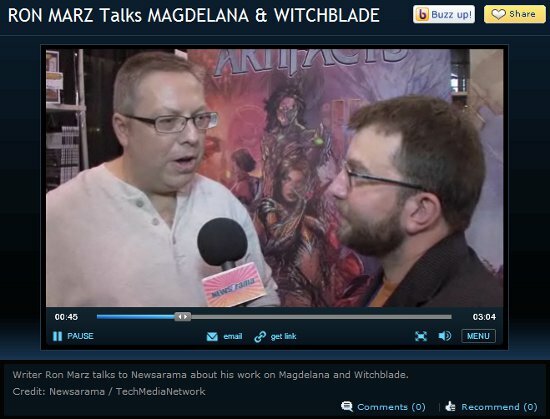 I’ll also be part of a different panel each day at the show. Haven’t had a chance to post an update after the last post on Artifacts for Tots, but I wanted to make sure it got done before we got too far beyond the holidays. Thanks to your generosity, more than $300 was raised via the Artifacts for Tots offer. Rather than simply donating the money, I wanted to be certain everything we raised was put to use this year. So a few days before Christmas my wife and I made a trip to the local Toys R Us and filled two shopping carts to overflowing with toys for both boys and girls, toddlers to teens. We dropped off all the loot – which filled the back of our Volvo – at the Air National Guard base in Scotia, NY, where the Marine unit coordinating the collection in based. We were going to take a photo of the toys with the Marines who helped us unload everything, but it was so viciously cold and windy that day, I didn’t want to ask them to stay outside any longer than necessary. I have a few Artifacts #1 copies left, so if you want one, you can still get it. I’ll tuck the donation away for next year. I’ll definitely do something similar for Christmas 2011. Thanks again to everyone who donated.